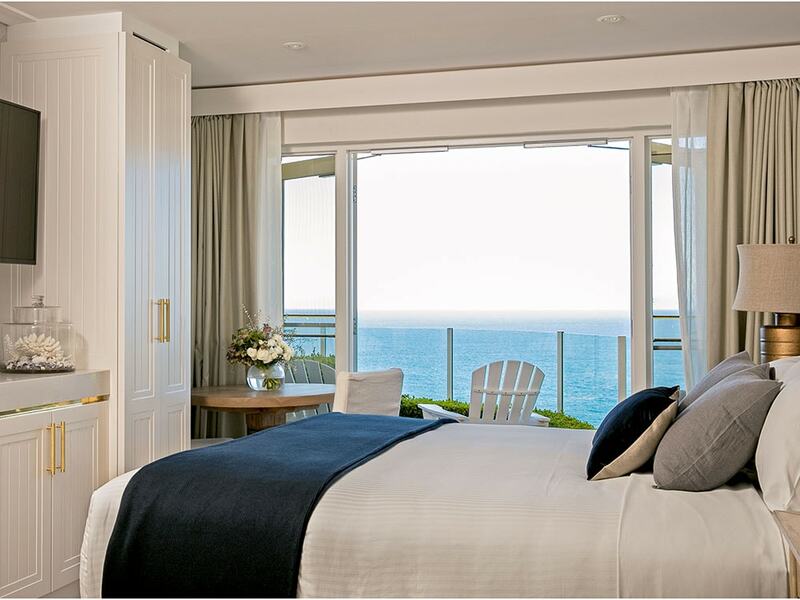 Your luxury coastal home away from home is now more stylish and special than ever before. 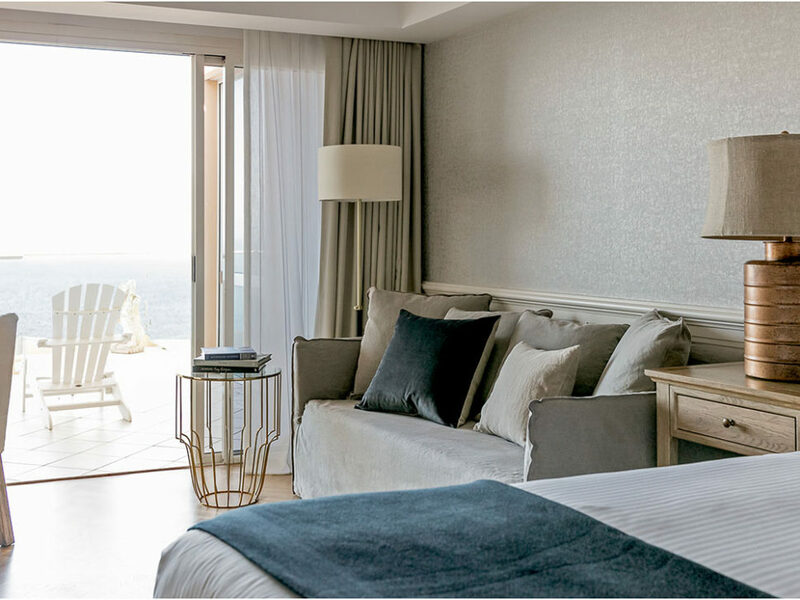 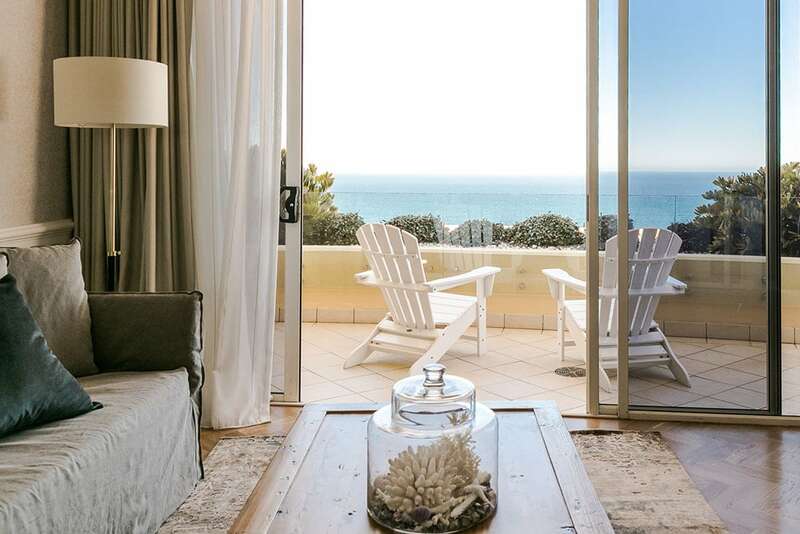 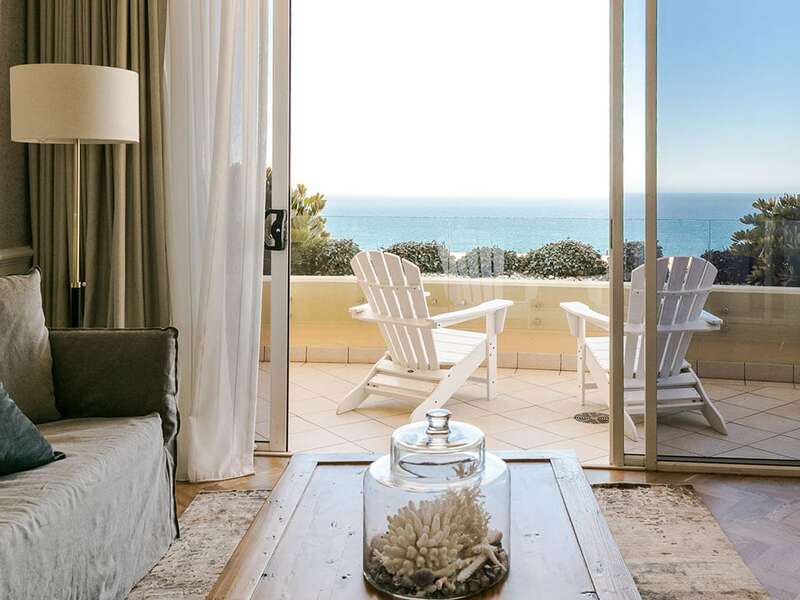 Jonah’s encompasses eleven recently refurbished and luxuriously appointed Ocean Retreat rooms, including the opulent Peninsula Room, and offers more space with beautifully crafted furniture pieces and a separate living area to the bedroom. 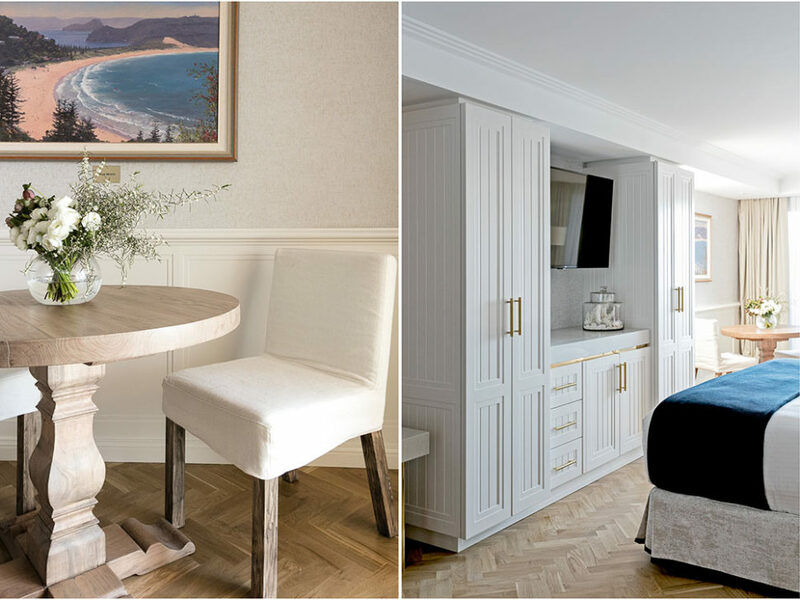 All rooms are elegantly decorated in a neutral palette with gold accents inspired by the natural elements of our stunning coastal location. 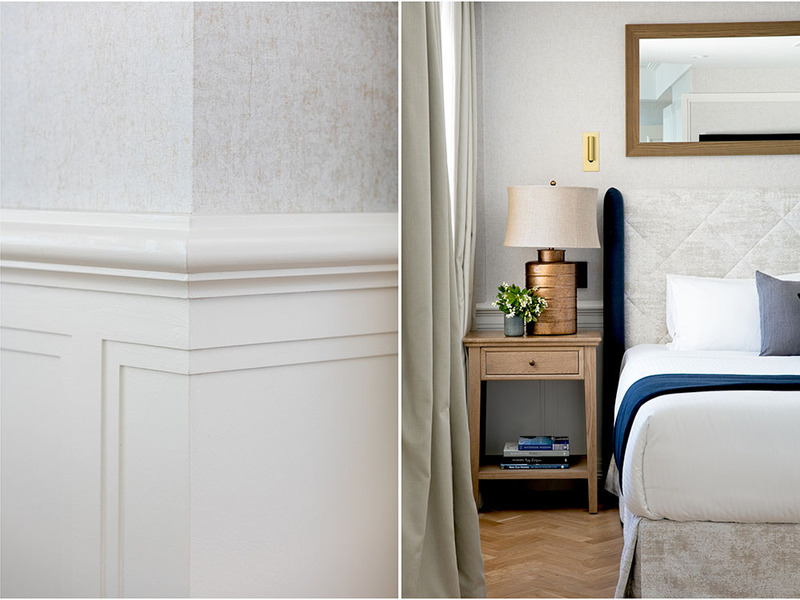 A calming colour palette combined with modern state of the art features. 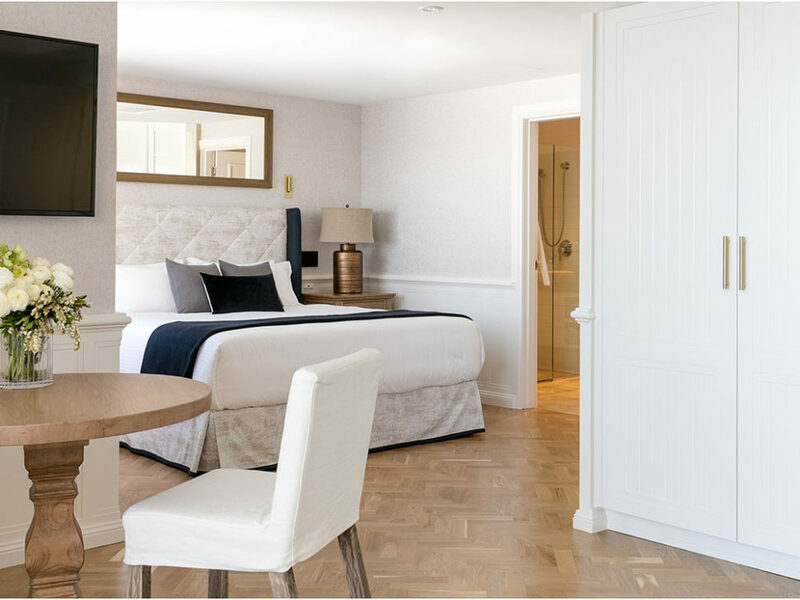 All our rooms include video on demand with over 350 complimentary movies, complimentary WIFI, USB charger outlets, in room safe, automated curtains, indulgent mini bar with Vittoria coffee machines, beautifully handcrafted newly released world luxury series King beds from A.H Beard, Molton Brown products, high pressure walk-in showers, spa bath, bathrobes, slippers, hairdryer, iron and ironing board. 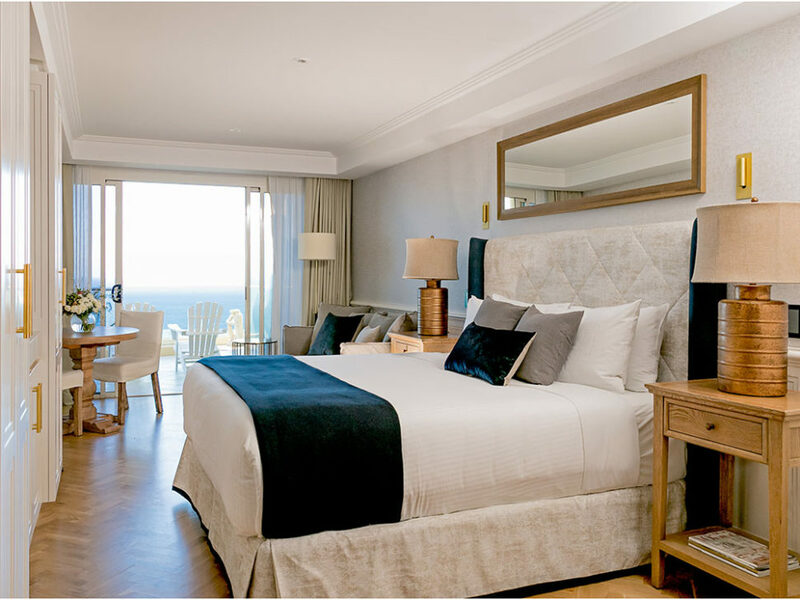 Our Ocean Retreat rooms include luxuriously appointed furnishings and state of the art facilities with balconies offering full ocean views. 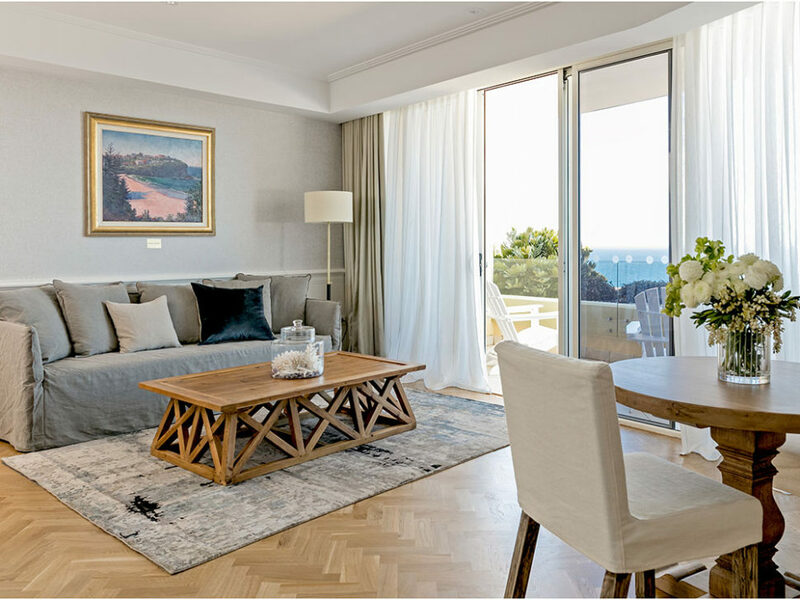 Our Peninsula Room offers more space with beautifully crafted furniture pieces and a separate living area to bedroom with balcony and ocean views.